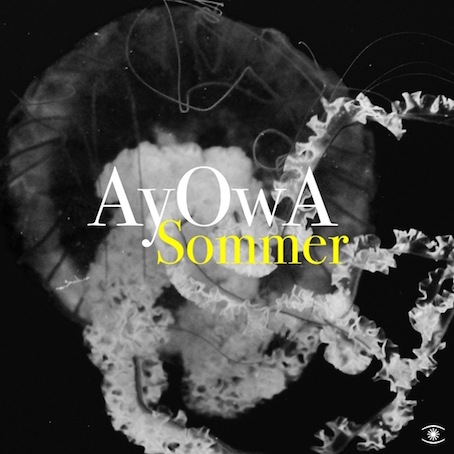 Chilled and dream-like, we were enchanted by this wonderful track from AyOwA on the very first play. They’re Danish duo Nicolai Kornerup and Hannah Schneider who turned their long-term friendship into a musical collaboration. Inspired by the likes of The Cocteau Twins and Boards Of Canada, it was recorded in a Copenhagen suburban basement and written about the yearning for a summer that never actually materialised. So it seems apt considering the stop-start weather we're experiencing right now. Musically, the soundbed comes from experimenting with old modular synths and reel-to-reel tape machines, but they create something that can’t be defined as coming from just one era. Modern yet retro, loose yet focussed. At first, we didn’t even realise that it wasn’t sung in English, such is the intimate engagement we felt when listening to it. Premiered on Noisey, currently receiving high rotation on Danish National Radio and supported by Charlie Ashcroft on his Amazing Radio show, you’ll treasure the warm glow that surrounds as when you listen to this captivating song.